People who learn to solve problems 'on the job' often have to do it differently from people who learn in theory. Practical knowledge and theoretical knowledge is different in some ways but similar in other ways - or else one would end up with wrong solutions to the problems. Mathematics is also like this. People who learn to calculate, for example, because they are involved in commerce frequently have a more practical way of doing mathematics than the way we are taught at school. 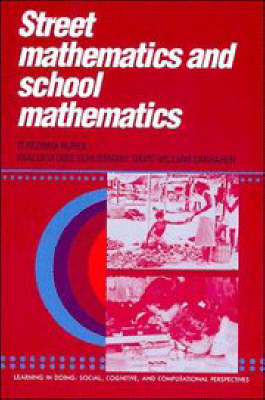 This book is about the differences between what we call practical knowledge of mathematics - that is street mathematics - and mathematics learned in school, which is not learned in practice. The authors look at the differences between these two ways of solving mathematical problems and discuss their advantages and disadvantages. They also discuss ways of trying to put theory and practice together in mathematics teaching.